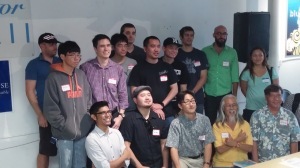 Special mahalo to developer Jason Axelson for his technical expertise! Civic*Celerator participant and coder Joseph Heaukulani at right discussing an app. “Thanks to Civic*Celerator, we learned a great deal more about the influence of money in politics than we would have otherwise. 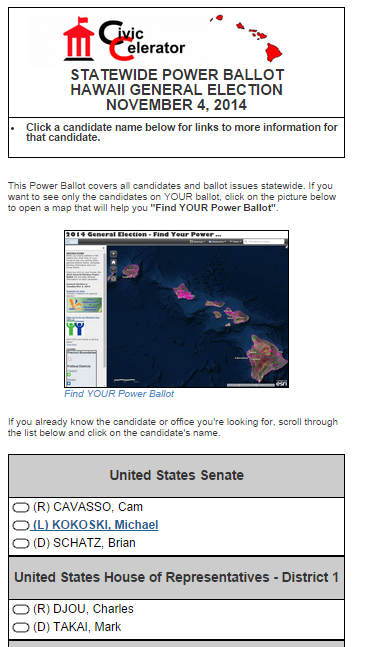 With the collaboration of coders, students, volunteers, and random citizens like me, we were able to explore different parts of the Hawaii Campaign Spending Commission data by breaking off into different groups, and trying to answer different questions that we had. For many of us, this was our first look at campaign spending data and we really didn’t know what we’d find. In contrast with a normal weekend hackathon, Civic*Celerator gave us the ability to play with the data over an extended period of time which was extremely helpful. The meetups allowed us to compare notes and check in on each other’s progress. Finally, months of effort culminated in the Civic*Celerator Demo Day, in front of wider audience, with all the groups taking turns sharing what they were able to learn from the data and the app they built to interact with it. 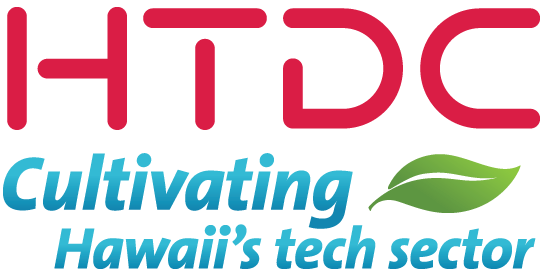 Civic*Celerator apps are not just for the election, it can also be a useful tool during the legislative session (Opening Day at the Hawaii State Legislature is January 21, 2015). 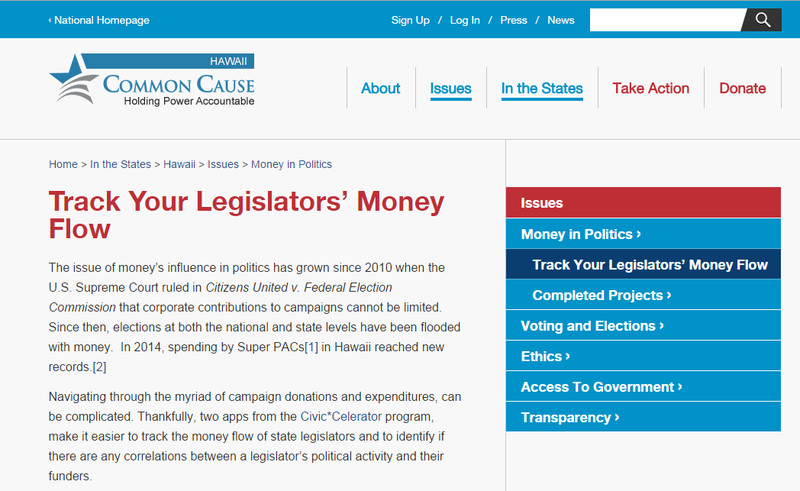 Check out Common Cause Hawaii’s website to learn more about how to use these apps to help track money’s influence on politics. Voqal Fund, co-sponsor of Civic*Celerator recently posted a summary of the project on their website. It includes some interesting statistics on the usage of the apps. Learn more about Voqal Fund and check out the write up here. 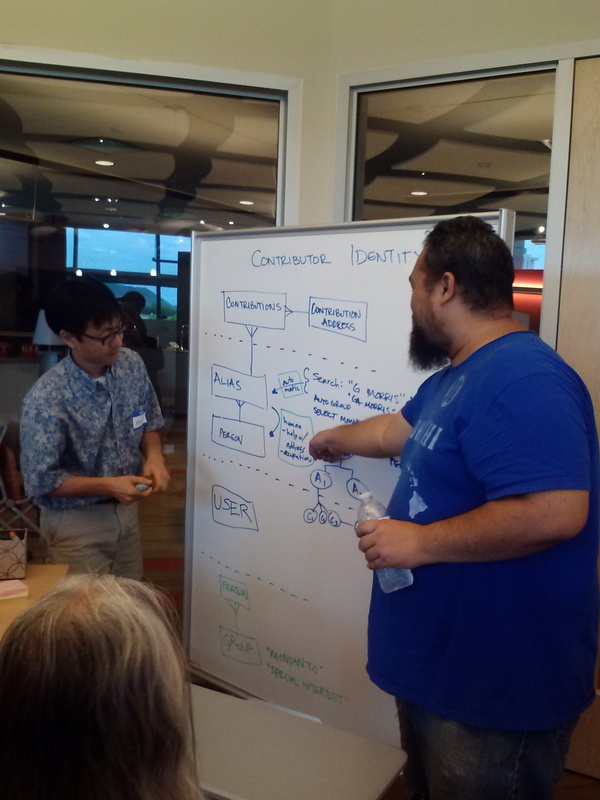 Check out a blog post on Civic*Celerator by Common Cause Hawaii Project Coordinator, Corie Tanida. In the short post she recaps the project and explains some of the impacts the project had on the community. Comments are welcome! Civic*Celerator organizers would like to thank the following people and organizations for making this unprecedented project possible. 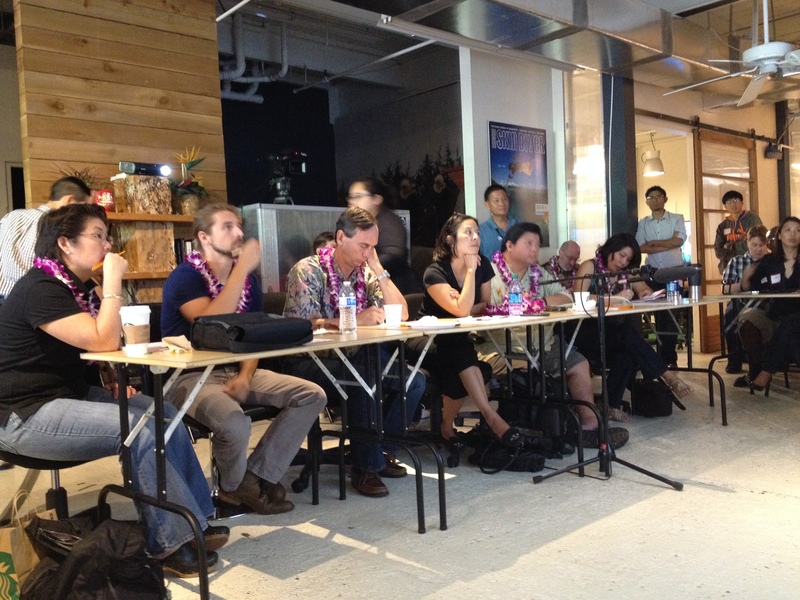 And a special mahalo to everyone who helped spread the word about Civic*Celerator! Thanks to the hard work of our volunteers, and lead developers Royce Jones and Jason Axelson, the Power Ballot, a feature of the Precinct Maps App, keeps improving. So much so, it was recently profiled in Civil Beat. 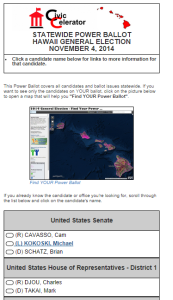 Be sure to check out the profile and try out the enhancements to the Power Ballot for yourself. Click here to use the Precinct Maps app, which will let you find your polling location and use the Power Ballot specific to you. 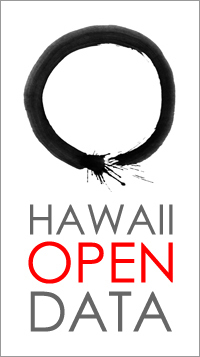 Click here to view and use other Civic*Celerator apps. The variety of apps available allow you to search through campaign finance data, see who is funding the campaigns, and how funds are being used. #ICYMI Check out Ryan Ozawa’s article in Civil Beat on the Developers of some of the Civic*Celerator apps. Learn more about the origins of these apps from Ben Trevino, Jason Axelson, and Royce Jones. Click here for article. 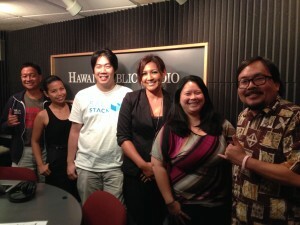 ICYMI: Common Cause Executive Director, Carmille Lim spoke about Civic*Celerator apps on Bytemarks Cafe hosted by the Geeks, Burt Lum and Ryan Ozawa. To listen to the show check out the Bytemarks Cafe website. The Civic*Celerator portion starts at 13:10. 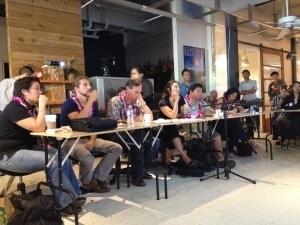 From left to right: Burt Lum, Carmille Lim, Shu Chen, Joyleen Kaiwi, Shani Hiraoka, and Ryan Ozawa.